Best known for being J.P. Morgan’s personal librarian, Belle da Costa Greene, lived, and made her mark in the library world between 1883 and 1950. Having great knowledge and passion for illuminated manuscripts and incunabula, Greene became a woman to be recon with in the world of rare manuscripts, books and art, while working at the Morgan Library. While working for J.P. Morgan she added a number of great treasures to the collection, and in 1924 when the library became public, she became its first director. Having always wanted to make these rare books available to the public, when she became the Morgan library’s director she celebrated by installing a series of exhibits, one of which attracted the record number of 170,000 visitors. 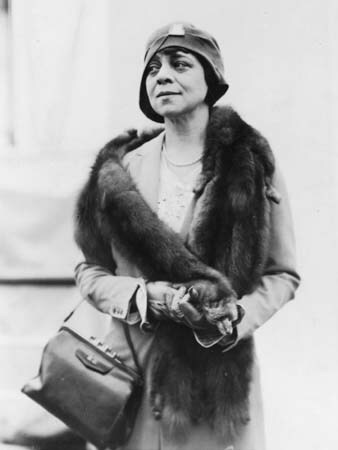 On the personal side, Belle da Costa Greene was the child of Genevieve Ida Fleet and Richard Theodore Greener, an attorney who serves as the Howard Law School, and who was the first African American students and graduate at Harvard. Growing up at a time when race greatly limited her opportunities, Greene eventually changed her last name and adopted “da Costa” as her middle name, using it to create a fictional Portuguese ancestry that would explain her complexion.